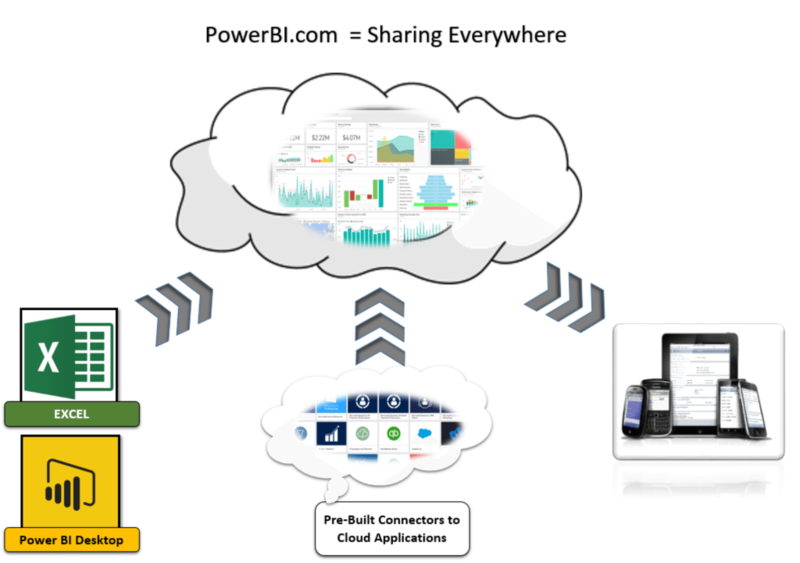 Microsoft Power BI is a suite of business analytics tools that enable you to connect to your data, analyse it and then share it easily. Analysing your data provides valuable insights that drive better business decisions. Click on anything & watch it update! For the best experience click on the expand button in the bottom right corner. Power Query and Power Pivot are free add-ins for Excel 2010-2013, and it’s already built-in to Excel 2016 and Office 365. Power BI Desktop is a free download from Microsoft (no time limits). If you want the paid version for sharing your dashboards, it’s just USD9.99 per user per month (AUD13). Depending on what version you have of Office 365, you may already have a subscription. Almost zero software licence costs. Just AUD13 per user per month! How can I get the benefits of Microsoft Power BI in Perth? Give us a sample of your data (we can sign a CA or you can take out the confidential bits). We’ll spend an hour on this & produce some visualisations for you so you can see it working with your data (FREE). If you like what you see, we normally proceed to a scoping study to identify what you want, where the data is, and how much work will be involved. Subject to your approval, we can then work on the project to deliver your own beautiful dashboard and you can start getting valuable insights from your data. By maximising the value of your data, you’ll generate powerful insights from it and make better, data-driven decisions. What could these kinds of discoveries mean for your Perth business? Take the next step towards better decisions today with Microsoft Power BI in Perth.